WE’RE on the march with Wullie’s army! The streets of Dundee are being taken over by the friendliest invasion ever. More than 50 life-size sculptures are being laid out over the weekend. 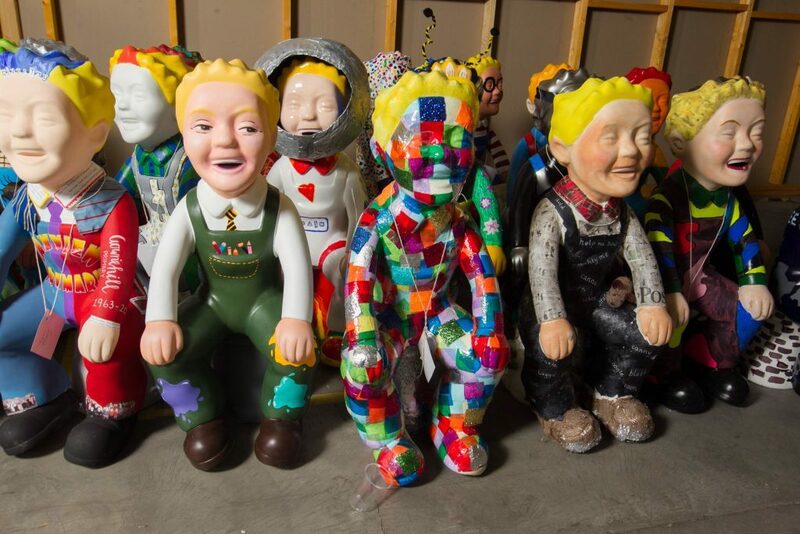 And all will be in place for the launch tomorrow of Oor Wullie’s Bucket Trail. Never has the Sunday Post’s cheeky scamp looked, well, quite so different. Each of the creations has been colourfully crafted in stunningly individual style – from Braveheart to Marilyn Monroe. 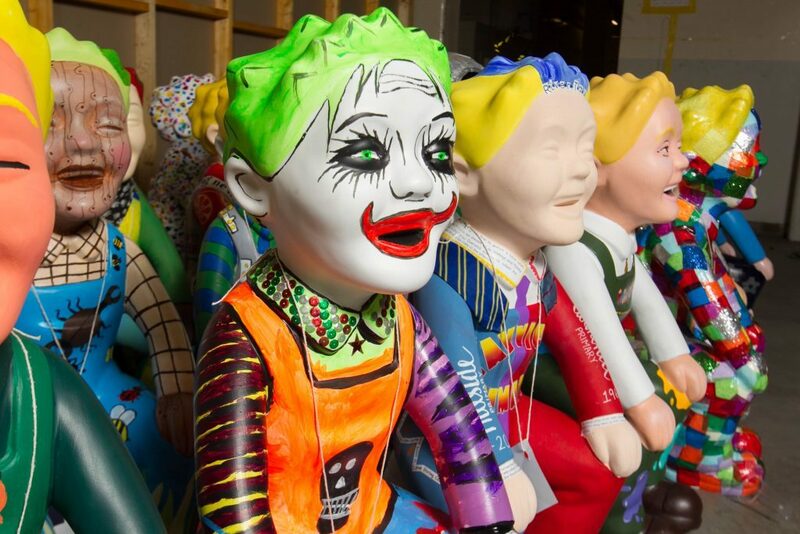 Over the next 10 weeks the city’s streets will be thronged with thousands of visitors making their way round the sculpted sensations. 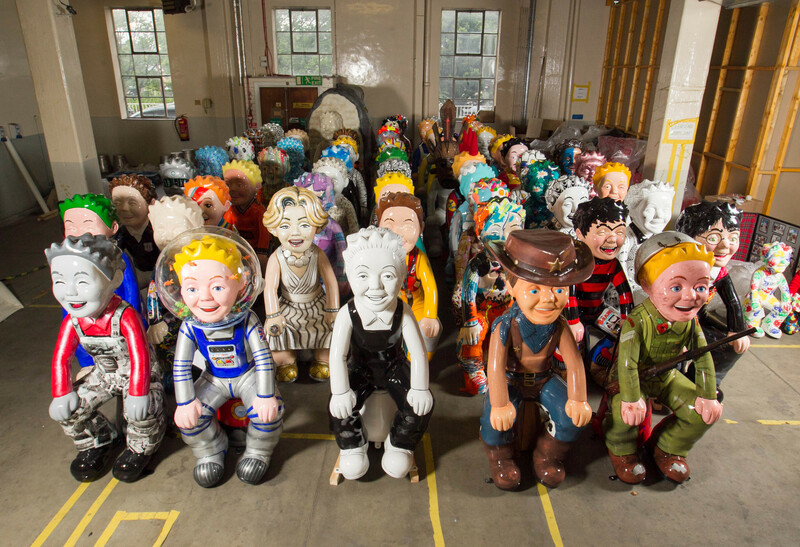 They can do so with the help of the official Oor Wullie’s Bucket Trail app which is available from tomorrow morning, ticking off sites and taking selfies along the way. Those who fall in love with a favourite can have a bucket buddy for life when they all come up for auction on September 13. And Scotland’s kids will be the beneficiaries with all the money going to the ARCHIE Foundation’s Tayside Children’s Hospital Appeal. The aim of the £2 million appeal is to provide two state-of-the-art paediatric operating suites at Ninewells. The trail is the largest mass-participation public art event ever in the City of Discovery. It has been more than a year in the planning and local and international artists have been hard at work for the past few months. Some of the sculptures have been created to celebrate public figures who have dominated the news. There’s a Tim Peake-inspired Astro Wullie – fittingly placed outside Dundee Science Centre – and Oor Bowie, in memory of music icon David who passed away in January. There’s a wonderfully hand-knitted creation and even a Tunnock’s Teacake-inspired design. And our comic hero will also be helping sell the nation to the world as ScotSpirit Wullie, VisitScotland’s latest marketing marvel. 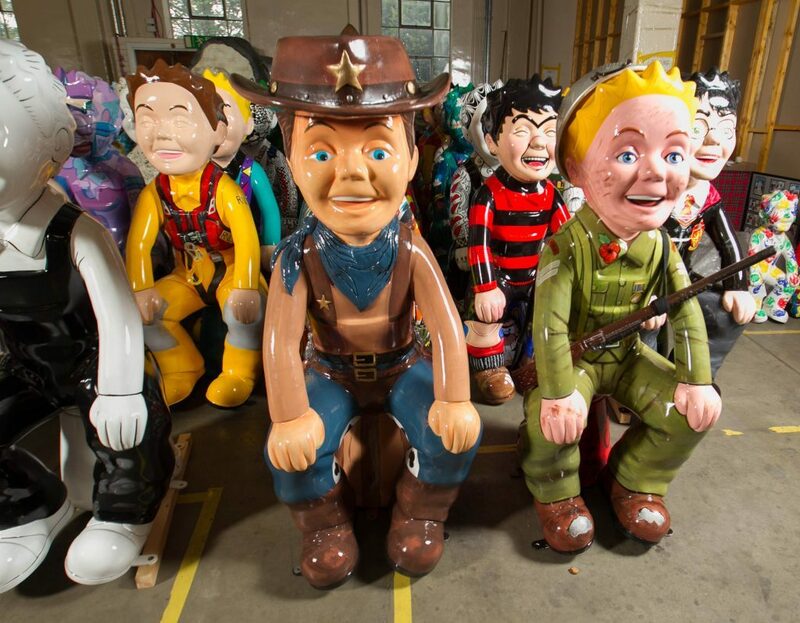 For more information, go to www.oorwulliebuckettrail.com or download the app. Paper maps are also available from various locations in Dundee.